If you play video games on a console, you will have seen it. Upon booting a game up for the first, tenth or thousandth time, a screen warning you to never, ever switch off your machine while a game is saving. It's sound advice, because turning a console off while it's writing the data can corrupt your save file, leading to heartbreak and upturned tea tables. But why do we need to see it every time we turn on every game? Jon Blow, creator of Braid, explains, saying that there's a "bizarre over-complexification that already happens with console games today, and is baked into the current certifications, that any [platform holder] could easily fix, but none of them do, because they don't care." 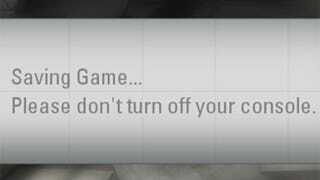 "For example: every single game is REQUIRED to say on startup, 'sometimes this game saves, when you see this animated icon in the corner, DO NOT TURN OFF YOUR CONSOLE, etc'." "This is something that developers have to implement and that has to be tested, which costs significant time and money, but worse than all that, it impacts the user experience, because the startup of the game becomes just a little more bureaucratized, and also - this is supposed to be a fun experience, so why are you issuing warnings and strict instructions?" It's a fair point, and one he suggests can be fixed by implementing "a more robust save system", one that won't collapse in on itself should the unthinkable happen and your console switch off in the spare seconds it's actually being used to save data. That comes from a much longer letter Blow penned to Ars Technica, on the subject of the kind of problems indie developers face when having their games certified by companies like Microsoft. If you were interested in the drama unfolding the other day surrounding Fez and its game-breaking patch, it's probably worth a read.